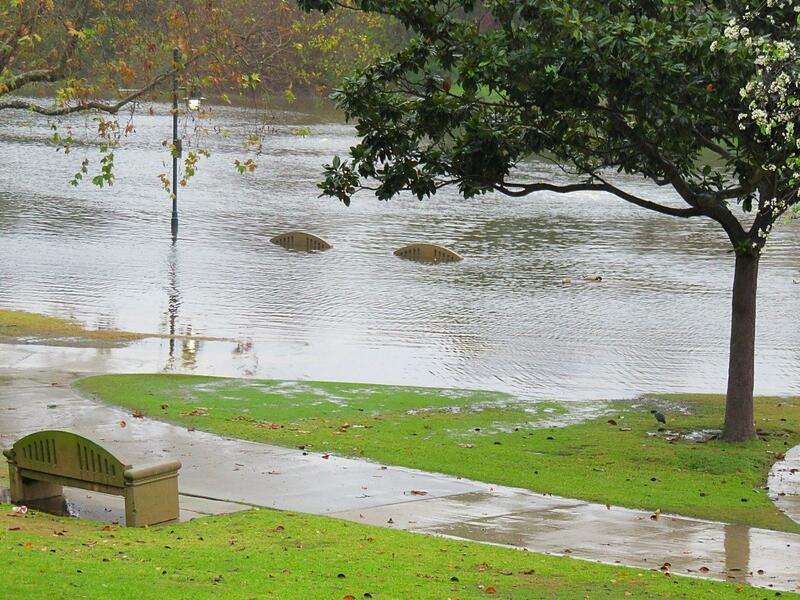 Polliwog Park doubles as a flood control basin, and after 5 days of rain, it's filling up. Those two arcs out in the water? They're benches like the one at the lower left.